Inhealthcare have been working with The Southern Health and Social Care Trust in Northern Ireland over the last 18 months to pilot and evaluate our telehealth undernutrition service in care homes. The telehealth undernutrition service pilot and evaluation ran in 14 care homes in Northern Ireland, 11 in Newry and Mourne, and 3 in Armagh and Dungannon between February and October 2015. The telehealth undernutrition service facilitates joined-up care, bringing together NHS care teams and care homes through our secure web-based portal. Residents at risk of undernutrition are closely monitored every one to two weeks by care home staff, who are able to input the patient’s weight, appetite, and compliance to oral nutritional supplements (ONS) into our web-based portal as part of their morning routine. 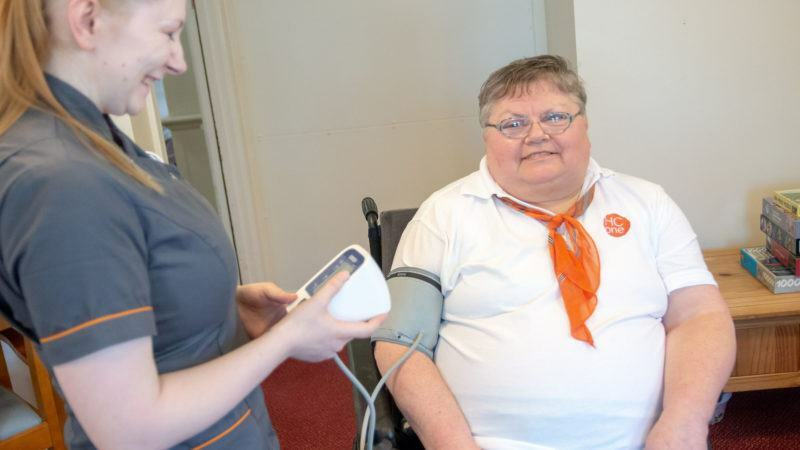 If any of the patient’s data falls outside of their pre-set clinical parameters, a member of the dietetic team is alerted to make appropriate contact with the care home to provide dietary advice. What benefits have been realised following the roll out of the undernutrition pilot? The telehealth undernutrition service is enabling dietitians to save over two hours per patient enrolled on to the service, which can now be spent with more complex patients requiring their care. Care home staff are also able to feel empowered to take responsibility of the less vulnerable patients. Previously, a dietitian visited every patient every 6 weeks. However, using the undernutrition service care home staff are able to quickly and easily collect the information fortnightly, or weekly. This provides a wealth of patient data which can be evaluated remotely, meaning that unnecessary dietetic travel time and costs can be avoided. The telehealth undernutrition service acts as an early warning system, highlighting any fluctuations in weight and nutritional health early on in order for timely intervention. As a result, the length of time patients were under dietetic care was reduced from 6-9 months, to 4 months. The pilot also reported £1,600 saving in inappropriate prescribing of ONS alone. It’s great to see The Southern Health and Social Care Trust evidencing numerous benefits of implementing our telehealth undernutrition service in care homes. We are confident that such positive results from this pilot will continue and increase as the service progresses.